Sandy grasslands and hillsides with sparse oaks. Ranges rather locally from Michigan and southwest Ohio to Iowa and southeastern Minnesota. 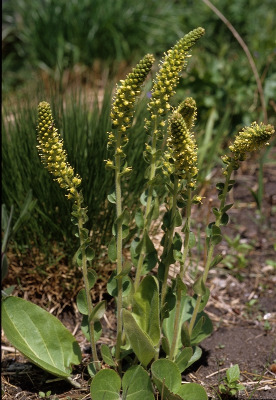 The inconspicuous yellow flowers are in a long spike-like inflorescence at the end of an unbranched stem bearing many small leaves. MICHIGAN FLORA ONLINE. A. A. Reznicek, E. G. Voss, & B. S. Walters. February 2011. University of Michigan. Web. 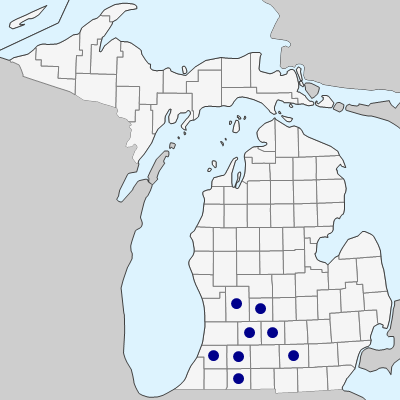 April 21, 2019. https://michiganflora.net/species.aspx?id=1929.